HORIST: Trump’s speech is all about credibility | Business Forward! 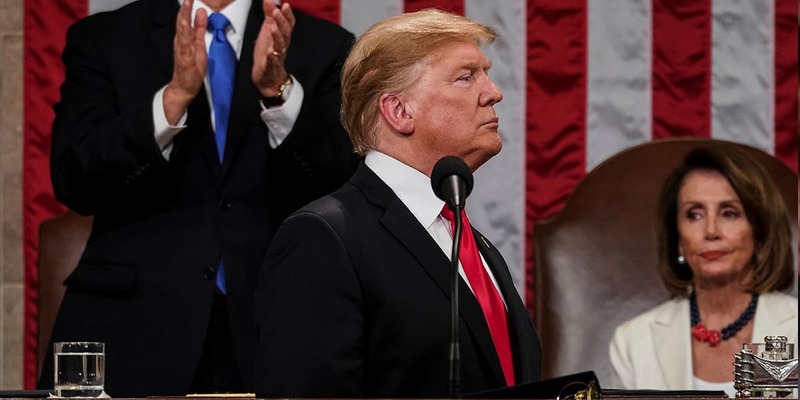 This was a fact based SOTU> The president’s credibility can best be summed up by FOLLOW THROUGH:) All the particulars were drawn from his campaign promises and have been kept with more temerity and fastidiousness than the vast majority of his predecessors. That is why President Trump is a tour de force! After eight years of a weak and self loathing ppresident , we finally have some one that loves this country. President Trump is battling for all of US. We live vicariously through him as he jousts against tremendous opposition, fencing the GOP establishment slashing media propagandists & rises above an ever-left leaning DNC. And instead of stating the fact about how great the speech was… you also put Trump in a bad light. You should be admonishing the Democrats and the White Coats for not looking out for the people of America.